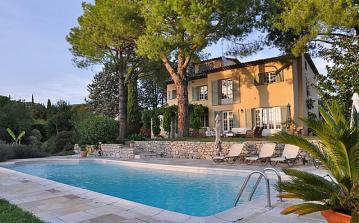 Spacious, light-filled village house with private pool. 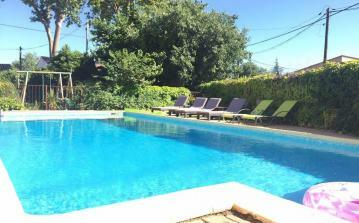 Located in a typical Languedocian village with all key services within easy walking distance. Mobile air conditioning units. Sunny terrace and unoverlooked courtyard. Beaches 30 minutes, High Languedoc National Park 5 minutes. FLEXIBLE CHANGEOVER DAYS THROUGHOUT THE YEAR. 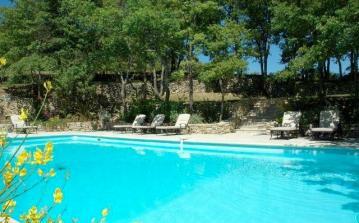 Typical Provençal farmhouse with large enclosed grounds on the edge of the village of Cavillargues, 20kms from Uzes. 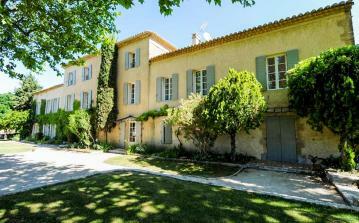 Large private swimming pool, internal courtyard, summer kitchen with bar and barbeque. Garden with Ping-Pong table, swings, Pétanque. Walking distance into village. 6 bedrooms / 6 bathrooms. Sleeps 12. 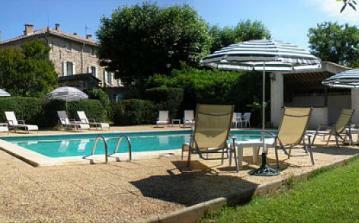 Ferme du Val is a wonderful 18th century farmhouse located in a quiet location in the countryside of Aix. 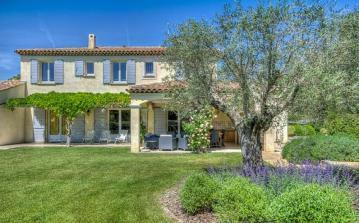 This property boasts a private swimming pool, table tennis table, boules pitch and beautiful bright and spacious rooms. This farm can sleep up to 14 people. Beautiful villa with 3 bedrooms, large heated swimming pool with pool alarm, summer kitchen and views over the countryside, vineyards and village. 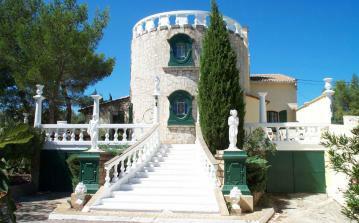 UK satellite TV, internet and air con in bedrooms. Walk to shops, restaurants and bars. 3 bedrooms / 2 bathrooms. Sleeps 6 (including any babies). 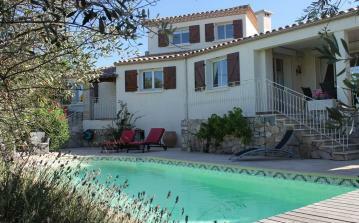 Gorgeous detached villa with private pool overlooking vineyards in the lovely fishing village of Bouzigues, 30 minutes from Montpellier. Air-conditioning, internet, satellite TV, table tennis. Easy walk to beach, many restaurants and all amenities. Large outside terrace and BBQ. 4 bedrooms / 3 bathrooms. Sleeps 7/8. One of our favourites! 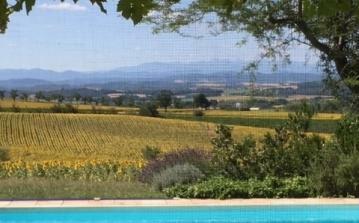 Newly completed self-contained Gite with magnificent views, plunge pool and excellent location overlooking village with boulangerie, restaurants, bank, pharmacy etc. Internet. 1 bedroom / 1 bathroom. Sleeps 2. Not suitable for children and toddlers. 2 adults only. PREFERRED CHANGEOVER DAY WEDNESDAY. SEVEN DAY BOOKINGS ONLY.